It's a glass-half-full-glass-half-empty situation over at HMV HQ where its new owner is intending to save half of its high street shops. We've done the maths (you're welcome) and this means that half of its high street shops will probably still be closed down. The music retailer's new owners, Hilco, hasn't announced an official position on this however, so there's no word on which shops would stay and which would go. 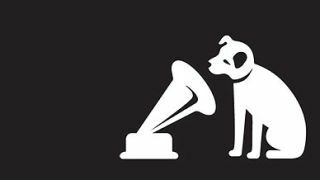 It was no great surprise when Hilco bought HMV's debt after it went bust - the same company already owns HMV Canada and is obviously using the old Monopoly tactic to up its income. Hilco is known for snapping up foundering high street firms - it did the same with Habitat, Borders and Woolworths, and is reportedly eyeing failed camera chain Jessops too. Its strategy for HMV is to get music labels on board, as they rely on the chain to boost digital downloads with physical disc sales - the Mail on Sunday reports that Universal, Warner and Sony are considering a credit-based deal to allow HMV to buy CDs and DVD/Blu-ray discs in installments.